The inspired work that our experts create help clients in all facets, from growth and connection to conversion and sales. Our digital and marketing strategies represent our team’s passion and energy, and we constantly push ourselves to learn more about new ideas and trends in order to better our products and processes. 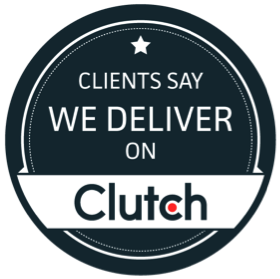 Sparkfactor loves seeing our customers succeed, and our commitment to client service has made us a standout company on Clutch. Clutch, a B2B research and reviews firm in Washington, D.C., analyzes a host of data, such as strength of market presence and portfolio experience, to score individual businesses before ranking entire industries. Such a thorough examination of Sparkfactor’s operations, logistics, and performance speaks highly about the quality of our work, as Clutch’s recent ranking of marketing strategy companies shows the steady climb of our company in a field with more than 28,000 competitors. In distinguishing ourselves as a leader of the group, our clients have played a large part in Sparkfactor’s growing success. When shopping online, our customers look for reviews in order to get an idea of Sparkfactor’s reputation and customer service, our attention to design and detail and our examples of happy clients. We have multiple five-star reviews from satisfied customers, who particularly praise their happiness with the results that we provided. The Manifest and Visual Objects, two sister companies of Clutch, also applaud our skills and solutions. Business news provider The Manifest also applauds our advertising skills, featuring Sparkfactor in its collection of top ad agencies in Chicago, while Visual Objects, curator of creative and design portfolios, now showcases our work experience in support of our savvy as web developers.